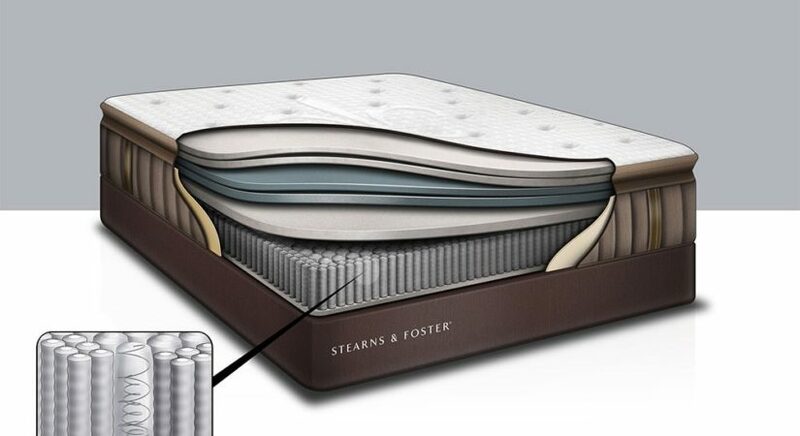 Is a Stearns and Foster mattress the best brand for the money? Searching for a good mattress to fit your budget? There are several mattresses to consider. Traditional Innerspring, Memory Foam and Latex are the top 3 mattress types. Some manufacturers even offer a combination of these technologies. But regardless of the choice you make, if your main objective is quality, then here’s a few things to consider before making your next purchase. Is there a home purchase more trivial than buying a mattress? Study, after study, after study, talks about sleep being such an important factor to our health and mental state, and it stands to reason. A mattress is indeed a major component of a good night’s sleep. But to choose the right one, shoppers must venture out to research the best possible option. are buying the same product that they saw on TV or in the newspaper. And even if you can figure out the differences among the various “S” brands, it’s difficult to comparison shop because many manufacturers sell exclusive lines to retailers. So the mattress you saw at Sleep Country, may not be carried at the The Brick, Costco or Leons. Then there are incomprehensible technical terms like: Viscoelastic Memory Foam, PrimaCool Gel and Advanced Pocket Coil technologies. A shopper whom isn’t familiar with these terms could be either intrigued or overwhelmed with all the lingo. There are manufacturers that try to push these new technologies, but then there are manufacturers that stand behind old ones. For example, Dunlop Latex Foam vs. Talalay. It is said that Dunlop has been used in the latex industry since 1929. It is basically a thick rubber sap that’s whipped into a froth within a centrifuge, the sap is then poured into a mold, then the mold is covered and steam baked, the sediments in the mixture settle to the bottom, making the layers firmer at the bottom. With the newer Talalay process, the thick rubber sap is also whipped into a froth within a centrifuge, but then the sap is poured into a mold and sealed, then the process continues on into a vacuum chamber where all the air is extracted, then they flash freeze the mold using chemicals to stabilize the material, then finally the mold is baked. With regards to consistency, the Dunlop is denser than the Talalay, making it a bit more heavier, firmer, and durable, whereas the Talalay has more consistency to the cell structure, making it more soft like a pillow. Confused yet? Well let’s explain this in more simpler terms. Dunlop Latex is typically firmer and is generally used as the base core component and Talalay is typically used as a top layered cushion. Is that better? With an Innerspring Mattress, the most important components are a) Coil Count, and b) Steel Gauge. In a nutshell, more coils will disperse weight more evenly, and thicker steel will hold it up better. All the other components can be a combination of Foam, Latex, or other Organic or Synthetic materials. Aside from all the confusing technologies, we haven’t even discussed the differences in pricing yet. Innerspring mattresses can be the most pricey. $1500 is said to be the average cost for an Innerspring Mattress, so the dreaded 4 digit price tag seems to be the new standard for just about any Quality Brand mattress, according to the latest consumer reports. Does this mean its necessary to spend 4 digits on a mattress? Absolutely not. Some Luxury Brand Manufacturers like Duxiana sells a product for just under $14,000 – you think that’s high? Hästens has a product that sells for $140,000 – yup, you read that right, these are 5 digit and even 6 digit prices that these companies are selling their mattresses for. Of course, that’s a line of products that caters to the rich and famous, but to the average consumer, 4 digits and up can be an overwhelming price range. But again, this does not mean a 4 digit purchase is mandatory, but it is a normal threshold for Innerspring Mattresses. One thing to keep in mind is that comfort is mostly subjective, otherwise buying a mattress would be a lot more simpler. Because a mattress is something we all need to buy, we have to eventually dive into that “Sea of White” at the mattress store to find what we’re looking for. It would be helpful if mattresses were more like couches or dining room tables, which generally come in easily distinguished styles, colors and shapes. With mattresses, many of them look the same, and many of the “S” brand names sound the same, so it’s not easy to distinguish the quality built models from the cheaper ones. But the consensus does seem to aim towards the Stearn and Foster mattress line of products when your looking for a quality build brand, that starts right at the 4 digit price mark.